Autumn means cooler days and less daylight. For the Stanford Blood Center, it also means possible blood shortages. 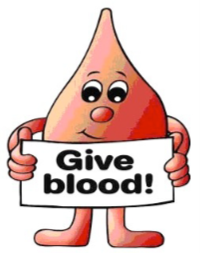 Vacations and busy schedules keep people from donating blood regularly. The hospitals we serve need a constant supply of blood products, particularly for preemies, cancer treatments, and complicated transplants. A liver transplant, for example, sometimes requires 40 or more units of blood. Stanford Blood Center is honored that the Western Wheelers have supported local patients by giving blood as a group since 2012. You are an important part of our life-saving team! So come out and join your fellow Wheelers. Those who have already scheduled their appointment are all set. If you don't yet have an appointment, call 888-723-7831 to schedule your appointment now.